JiShop blog. Three weird kanji. In the old layout of our webpage, we had a section called "Kanji of the day", with a screenshot of a JiShop kanji entry, one of 31 randomly selected. Some user critisized us for having selected too common characters known to everybody and suggested to consider a Weird Kanji of the Day! I liked the idea. When the time came to redesign the site, I decided to introduce such a section and made a selection of weird characters. Unfortunately, the layout turned out to be overloaded and I gave up this idea. But now we have a blog where I can show you some weird kanji from that selection and explain why I find them fascinating. You have to be a botanist to know what calyx is. It is the outermost part of a flower, a ring of leaf-like green sepals, protecting the flower while it grows. 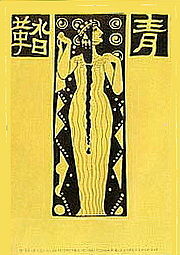 However, calyx as such is called "gaku" in Japanese, being written with kanji 萼. It is not "heta" yet. 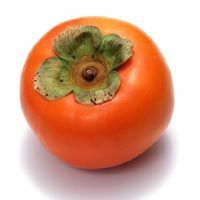 "Heta" is a calyx that stays on a picked fruit like a persimmon, tomato or eggplant. We all are well familiar with this little thing, so annoying when you need to chop a tomato or peel a persimmon. But we don't have a word for it! In English, we need to give a long, wordy translation. While in Japanese they have a special word for this useless miserable thing, and not only a word, they have an entire kanji! Isn't it beautiful? Kanji under the key radical 魚 "fish" can denote not only different fish species but also their body parts: 鰭 "fin", 鱗 "scales", 鰾 "swim bladder". However, 鰄 specifies a particular body part of just one fish, porcupine ray, Urogymnus asperrimus, a very rare species, not found near Japan. How could this happen? The answer is simple. Porcupine ray skin has a very rough but beatiful texture: white spots similar to plum blossoms. This made it the best material for covering sword grips. It would never slip from a warrior's hand during a battle and could also be an object of aesthetical appreciation. Of course, such an important thing couldn't stay without a special kanji! OK, the kanji itself means not "blue stocking" but "footware". However, the only Japanese word that uses this kanji is 青鞜 [seito:], "Blue stocking". It refers to Blue Stockings Society in 18th-century England that united intellectual women with literary talents, and also the Japanese feministic magazine published in 1911-1916. This word is an eloquent witness of Meiji era spirit, when the Japanese society didn't resist Western influence, but the language still did. Enthusiastic pioneers of Japanese feminism, ardently captured by European ideas of equality and progress, still tended to express new concepts in traditionally built words. They didn't even hesitate to find most bizarre and uncommon kanji for these words! You can be sure: a similar magazine in modern Japan would be definitely called ブルー ストッキング. More weird kanji to come.